We know that David Lowery’s post here at the Trichordist has re-ignited the debate over Pandora’s latest attempt to reduce royalty rates to songwriters, but David is not alone. 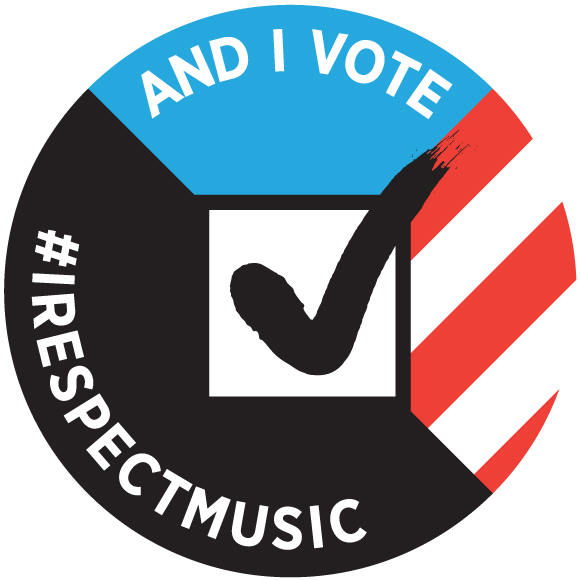 During the last attempt by Pandora to screw songwriters and musicians we saw a number of artists speak out, amongst them was respected songwriter, musician and producer Jimmy Jam who testified on Capital Hill. 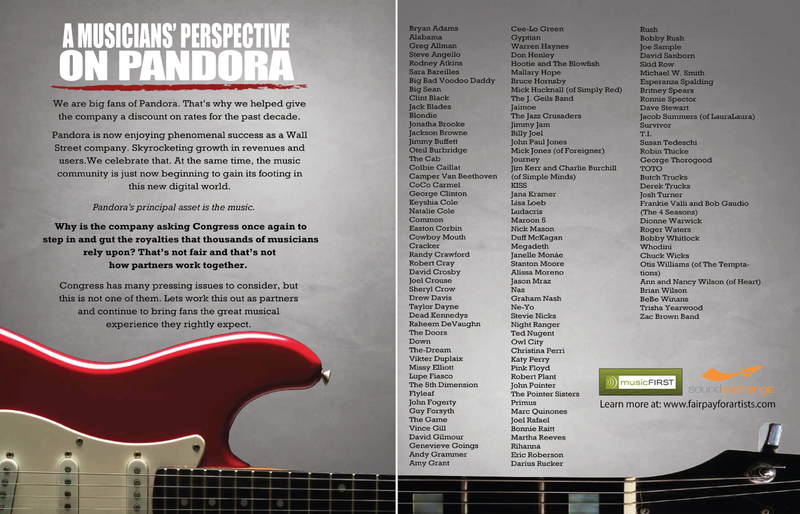 Here’s a look at some of the other songwriters and artists speaking out from different perspectives. It is interesting and very disturbing that no one is addressing the SONGWRITER’s situation in this Pandora debacle. The AFL-CIO, NAACP, Americans for Tax Reform, the American Conservative Union, SoundExchange, and others all oppose this bill, and the supposition that Pandora should pay less to artists and songwriters in order to accomplish higher profitability. Of course, this letter doesn’t say anything about an 85% artist pay cut. That would probably turn off most musicians who might consider signing on. All it says about royalties is “We are all fervent advocates for the fair treatment of artists.” And the only hint of Pandora’s real agenda is the innocent sounding line “We are also fervent supporters of internet radio and want more than anything for it to grow.” The petition doesn’t mention that Pandora is pushing the growth of its business directly at the expense of artists’ paychecks. Several of my former workmates at Pandora seem to be drinking the Kool Aid. I’m seeing posts claiming that David Lowery and Pink Floyd are talking ‘trash’. Yes, I worked at Pandora. You can read all about that here. I also play in a band with David Lowery, it’s called Camper Van Beethoven (not the band with the song in question here.) He and I don’t necessarily agree on everything, but I’m totally backing him up on this one. 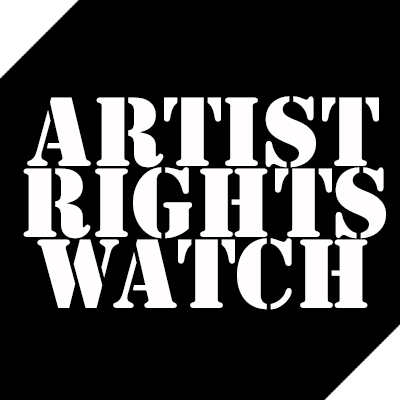 Let us also not forget that over 125 artists signed a letter to Congress opposing these rate cuts. Here they are again. ← Pandora hires Qorvis consultant (as in Lobbying firm for Kingdom of Saudi Arabia) for “Grassroots” campaign. The answer to this is absurdly simple…don’t give up your copyrights, and don’t let Pandora play your music. If we, as songwriters, do this…soon Pandora will be an oldies station, and their ratings will suffer, and then they will go away. Meanwhile we can make better deals with whatever comes along to fill the same niche if they pay us fairly. If we keep control over our music, they can’t use it. Argh. Sorry this is getting frustrating to me. Again You can’t opt out of pandora, it’s a compulsory license. Like radio you can’t really take your songs off the radio. Well technically you can withdraw your digital rights from Bmi and ASCAP but then you’d need to withdraw from every single digital service unless you went around an negotiated a deal with every single service. Hmmm. but now you got me thinking. during copyright review we should lobby for the right to opt out of individual services. And by the way…if you control your own copyrights, you CAN stop anyone else from using your music. Copyright literally means “the right to copy”. This is a right ONLY you can grant. It will be a very interesting court case if someone is smart enough to bring to trial. They will have to argue that copyright only applies when they own the copyright…since they must be draconian in their pursuit of piracy, but yet they will have to argue that they can bypass rights ownership when it comes to use on their radio station…I’m looking forward to that. I get what you’re saying but there are certain compulsory exceptions in copyright laws. This is one.